As a Jet Li lover, you have ruined my day! Oh, please tell me he had NOTHING to do with poor puppetry! I don’t know what I’d do! Then again, at least you’ve left Jackie Chan alone…for now. Watch out there, buddy. He and I are VERY good friends! (Though ALL of the young women in his dubbed – blech- videos have the same high voice. Good ones, bad ones, it doesn’t matter. Is there only ONE woman who can speak the language and dubs all of his films…?) I digress. Awesome find Kevin; this just made my evening! Beautifully done. Thanks for pointing it out. There’s another style of Chinese handpuppet that Yang Feng invented which has all internal controls and can do this kind of martial arts arm movement in real time onstage. Tears of Joy built a set of them for the production of Monkey King that he directed. The controls are a very impressive and highly engineered set of springs and levers worn on the hand and give an astonishing range of movement. Mary Robinette Kowal’s last blog post..There Will Come Soft Rains — Extended! @Rita: Since you like them both, did you like The Forbidden Kingdom? I do think that they’ve both done really good works, but I’m not a huge fan of either of them, hehe. I believe this is done by people in the industry that are familiar with the craft and have access to a production studio. My guess is that it’s done by people that work for a certain puppet show that was either having budget or distribution problems, and the workers there just made this for fun (and possibly as a resume builder project) while the main production is on hold. And to answer your question. good puppetry is good puppetry, whether the rods are visible or not. 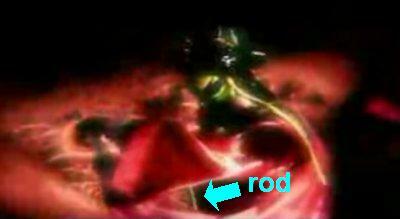 I’m only pointing out the rod thing to illustrate my point about editing. That’s a great explanation of “good puppetry” – and very kind. Regarding “The Forbidden Kingdom,” which time are you talking about that you didn’t like? The first time I watched it, the ninth? I’m not really sure what you mean.